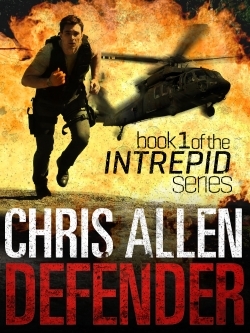 A former Paratrooper, Government Security and Counter-Terrorism expert, and most recently the Sheriff of New South Wales, Chris Allen's series of thriller novels feature Alex Morgan, star agent in Interpol's ultra-secret sub-directorate Intrepid (Chris’s literary brainchild). His experience of the publishing revolution has been up close and personal, self-publishing before being signed to Pan Macmillan's digital-only imprint, Momentum Books. Defender and Hunter have become instant eBook sensations and Avenger is due for release at the end of 2013, with traditional print deals and a film franchise underway. For more information visit www.intrepidallen.com, or say g’day to Chris at www.facebook.com/intrepidallen. Chris also blogs at www.intrepidallen.com/blog. Has a character ever done anything that surprised you? Sure, particularly the bad guys in my books. They are unsavoury, immoral and evil creatures, and even though I've created them to reflect those characteristics and elements of human behaviour I despise most, I still find their actions appalling - especially when I read them back. I give a lot of thought and do a lot of research and planning around these characters and try to make them as real and believable as possible. So, it’s not easy writing some of those scenes but by then, I’m right in the midst of the story and I’ve just got to get it on the page. Hopefully readers understand the context of the scene in relation to the overall story, and the importance of these characters in grounding Intrepid within real world scenarios and environments. What book and/or books have most inspired your writing? Well, the authors I return to time and again are Ian Fleming and Sir Arthur Conan Doyle. You'll find me reading their work at least once a week. They are very familiar and very welcome journeys. I also love Alistair Maclean, Jack Higgins and Frederick Forsyth – along with Fleming and Conan Doyle, these are the classic authors who inspired me to get out into the world, join the military as a young man, and experience the things I so desperately wanted to write convincingly about as a kid. What draws you to this particular genre? Thriller and action adventure novels were my staple growing up as a boy in the sleepy suburb of Rossmoyne, Perth, in Western Australia during the 1970’s. My dad was a bus driver and with five kids to look after, well, we didn’t have lots of money that's for sure. So, in lieu of going to the movies a lot (which I would have loved to do), I would read. The Ian Fleming Bond novels in particular transported me across the world with the flick of a page – they still do. What do you feel is the most important aspect in story development for you? Having a story to begin with! For me it’s being clear about what the basic premise of the story is and then establishing the reference points I need to get to in order to progress the story. For example, it's easy to come up with a basic premise for a story - such as human trafficking which my next story Avenger is about - but a story needs to be engaging for the reader. So, I’ve got to come up with the plot lines, sub plots, and sub sub plots within the overall story to make it entertaining and keep the pages turning while ensuring the fiction I create is grounded in reality. That’s so important for me in my books, to make them escapist thrillers for realists. So really, it’s the hard yards at the beginning involved in mapping out all those plot lines so that I can bring them all together in a natural and, of course, high-octane conclusion. After all, the reader needs to be rewarded for taking the journey with you. They don't want to get all the way to the end wondering why they bothered! Which characters perspective viewpoint do you enjoy writing the most, the antagonist or protagonist? Well, the protagonist in my series of novels is a very cool guy called Alex Morgan. 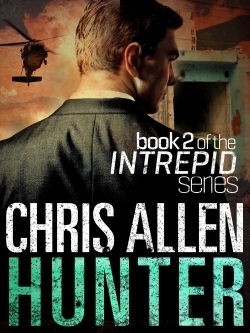 He's the star agent of Interpol's ultra-secret, black-ops division called Intrepid. He’s a mix of me (Australian-born, British heritage, former Paratrooper) and a number of my very closest mates - guys I’ve served with over the years. Morgan is driven, unstoppable, smart, naturally charming and ruggedly good looking (of course). He is both intrigued by and attracted to strong, intelligent women and occasionally prone to bouts of melancholy as a result of some of the things he’s seen in his time. So, now that I’m three books in, writing Major Morgan has become second nature to me. I know how he thinks, how he talks, how he reacts to situations but I still want to know more about him and so, too, do my readers. So, I'm looking forward to bringing more of him out in the new book, Avenger, and I'll continue to discover more about him as the series progresses. I mean, when we first meet someone, we don't instantly know everything there is to know about them. Getting to really know a person takes time, especially someone who is worth knowing. On the other hand, the antagonists in my stories are usually pretty dark and damaged, the absolute antithesis of Alex Morgan. These characters need to be developed for every new story and their backgrounds fleshed out each time. So, they end up being a lot harder to write - primarily because I don't like them! I have two young boys, Morgan (his name is no coincidence, either) aged three years and Rhett who is seven months. They keep me pretty busy – whether I’m chasing Morgan around the garden, or just making silly faces to get Rhett to laugh, which is never that difficult. So when I’m not writing, my life revolves around my family, and that makes me happy. 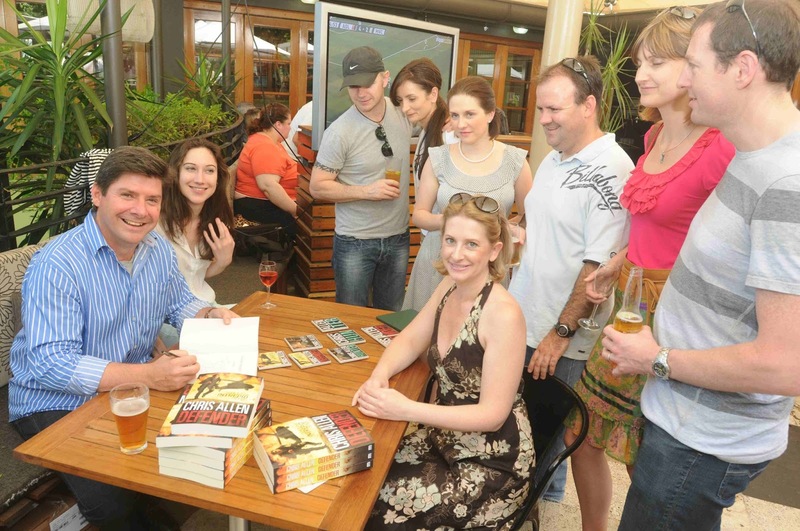 Occasionally I like to enjoy a beer or a glass of red at a Sydney pub with mates or fellow writers. ‘To the brave belong all things’ – it’s the motto of the Celts. It’s also the motto I've given to the Intrepid agency which I attribute to the Chief of Intrepid, General Davenport. It's kind of become a family mantra now - and it also came in handy occasionally in my younger days as a paratrooper in the Australian Army and when I was attached to the British Parachute Regiment! Good question! Well, I’m currently researching and writing Avenger, the newest in Alex Morgan's Intrepid adventures, and working on a film version thereof. Pipeline projects include a new series of novels, which I can’t say too much about right now, but the series has a very cool central character who goes by the name of... actually, no, I don't even want to share that yet. Sorry! What is the question that you wish interviewers would ask, and the answer to that question? The question would have to be: would you ever consider sitting in on a regular music gig at a local pub as a jazz drummer? And as an aspiring jazz and rock drummer since as long as I can remember, the answer would be a resounding YES! Thanks for sharing this. My boyfriend would love this book. He is actually wanting to read more books in this type of genre. I'll be sure to tell him about it. Misty, it is a really fabulous book. I loved every chapter of it and my boyfriend and my Dad love Chris's books too (on Boxing day, my dad, boyfriend and I were all reading them simultaneously). They appeal to the female gender as well - especially with Alex Morgan as the lead. 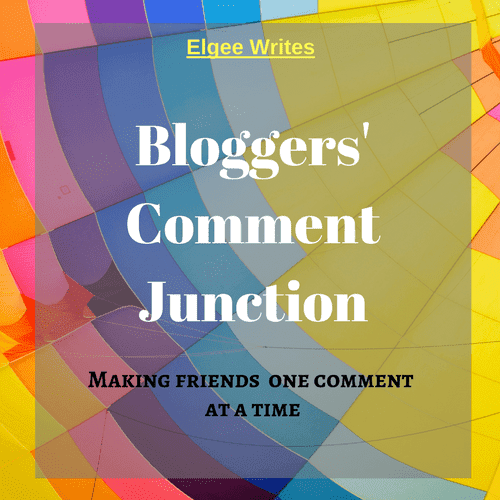 I wanted to echo Sarah and say thank you too, LLM - this is a great read and it's lovely to be involved with your blog, it's fab. No Joke - Win Big April Fools Giveaway!